A unique and compelling member of the larger Amp range, the Normann Copenhagen Amp Table Lamp is an inspired piece which takes old tube amplifiers from the 1960s as its muse. 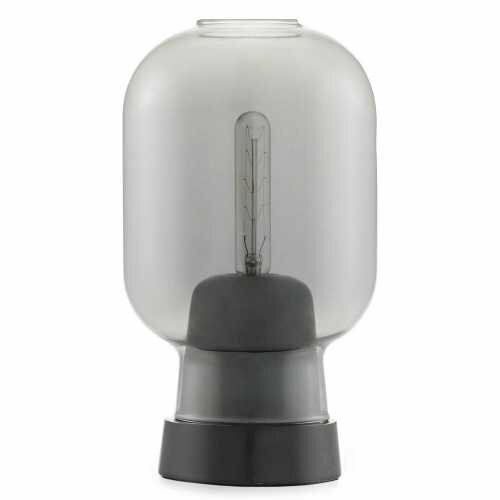 The natural beauty and tradition in the original tube amplifiers is taken to new heights thanks to the design talent of Normann Copenhagen and there is surprise elegance in this contemporary table lamp. The Normann Copenhagen Amp Table Lamp comes with a switch and light dimmer and is constructed from glass and marble. 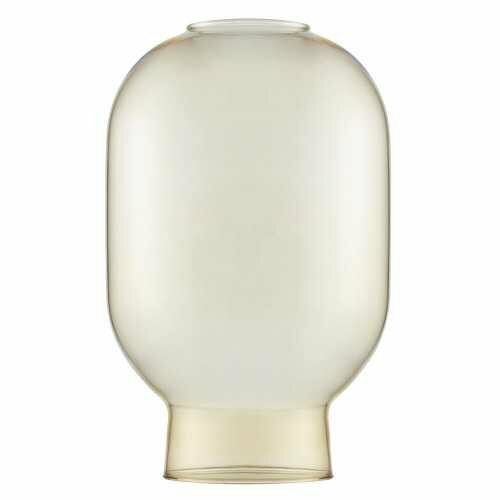 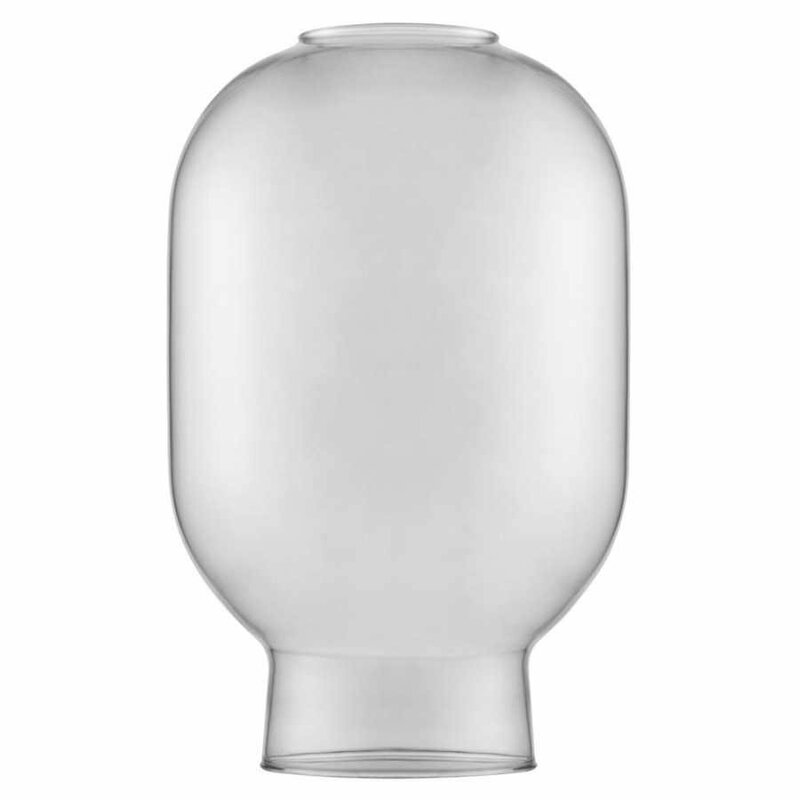 The glass lampshade emits a gentle glow when switched on and delivers ambient lighting which is both enjoyably warm and also contrasts with the heavy marble of the lamp base. 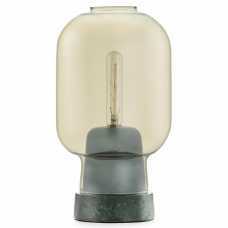 The Normann Copenhagen Amp Table Lamp is available in smoke and black or gold and green colour combinations and measures 14cm in diameter and 26.5cm in height. The lamp fits a regular E14 bulb but for the ultimate impact the Normann Copenhagen Amp Bulb is recommended, adding a further element to this striking design. Whether you position a single amp in isolation or invest in a number to create patterns or clusters, you will enjoy the industrial stylishness this lamp offers. 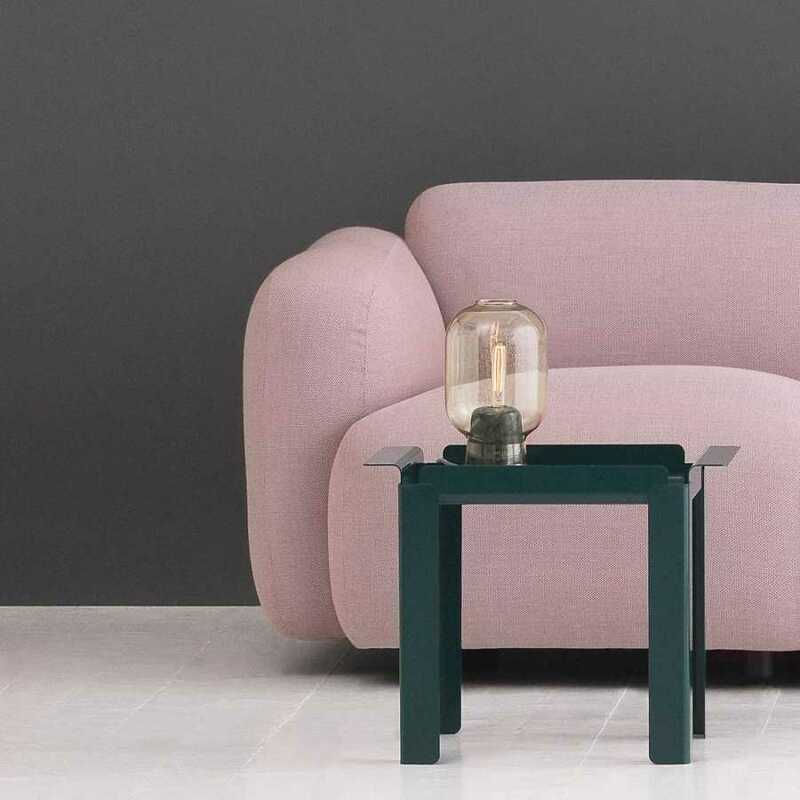 For more information about Normann Copenhagen and their collection please visit our brand page.